I’m usually fairly quiet on 9/11 as it’s a day that holds a lot of memories. We lived 5 minutes from the Pentagon at the time and the plane crash shook the windows of our small apartment right along with my personal sense of stability. A family member worked in the WTC and we spent the entire morning awaiting his phone call. Thankfully, it came and we breathed deep sighs of relief. 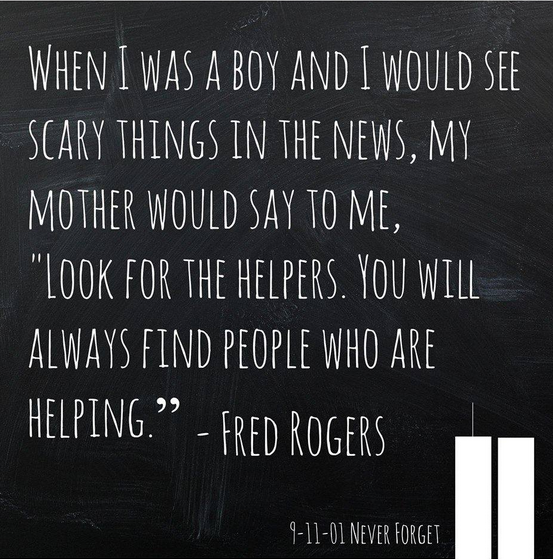 While so much of me resonates with these words and the value they place on so many who sacrificed that day, I also find myself feeling a lingering hole in the dialog about who matters when 9/11 rolls around. “My dad says that all Muslims are bad,” a boy in my son’s third grade class shared this week. It’s become a norm – this alienating story of the West vs. the Middle East. Media stereotypes from both sides have flown for over a decade, and now, as I honor the heroes, I also mourn the victims that have been born from the political rubble of 9/11. As a kid from the 80s, I saw the exact same story play out with the Russians. I remember distinctly thinking that Russians were evil, dangerous, and scary and that Nancy Reagan was the most beautiful woman I’d ever seen (which of course meant that Reagan’s policies had to be right…). In my heart today, I hold all of those mothers on the other side – Russian, Iraqi, Saudi, Afghani – who love their children too, who hold them in their arms at night, tears brimming over what the world has come to. I picture the fathers tickling little ones, teaching them simplicities of daily life and the hope for a better world. I remember stories of widows like Susan Retik and Patty Quigley – women who lost their husbands that day and now fight for the plight of Afghan widows. They are heroes, too, all the ones who love their children. May our remembrance of them honor the hope they offer to the world.